VC Basanth Kumar informed that the NAD flyover works will start from the 5th of this month.The deadline has been increased till 31 May. There are 3227 applications for pending LRS.Meanwhile, the land acquired from the GMR firm for the Lulu Group Constructing Center will be given at another place of Rs 191 crore, he said.He said IT city will be built in 22.19 acres in Madhuravada.The special purpose vehicle will be set up for this purpose.He said a referendum will be made to create a Coastal Zone Management Plan in the 70-km stretch of Visakhapatnam. He said that the Wada Master Plan was to be completed in August this year and the work of live satellite images is still ten percent. The master plan is going to take steps to prepare by December this year. 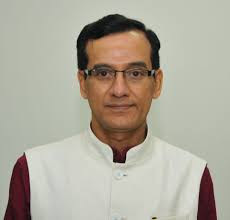 VS Basant Kumar informed that the World Telugu Federation had sought three acres of land for setting up a Cultural and Heritage Museum next to the Telugu Museum located on Kailasagiri. However, the land allocation is not possible in the wake of Kailassagiri rebuilding work. We are going to have landpooling at Tri Junction, "he said. But the revenue staff will take this responsibility and say that if the land is given to them, it will develop. He said the survey would be done with drone cameras to set up a botanical park on Yarada Hill. During the construction of the master plan road, the residents of Revolapalem village near Bakna Palampam are losing their homes and they will be given alternative place at Madhuravada.